Mabul Water Bungalows is a floating Dive Resort built by for divers and vacationers who want to enjoy the peace and beauty of Mabul island. You can take your meals in the large open-air Restaurant which serves excellent western and local cuisine. After dark enjoy a drink with your friends at one of the Bar & lounge. Enjoy the facilities at the nearby sister resort - Sipadan-Mabul Resort - Jacuzzi, swimming pool and a beautiful white sand beach. 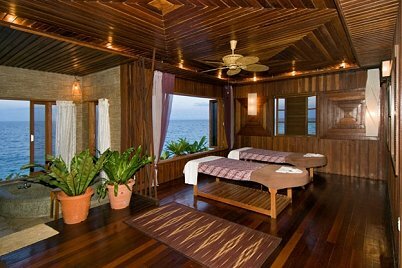 The resort is a certified PADI 5* Dive Centre and also provides TEC diving facilities. The resort has the facilities to host your event, conference, team building workshop and wedding. The resort features 15 luxury Bungalows entirely built over the water. Every room is exquisitely furnished with contemporary decor and has air-conditioning; ensuite bathroom with hot water shower; and a spacious private balcony overlooking the crystal clear waters of the Celebes Sea.